"Thank you, faith, hope and love"
"When it's raining in BC where better to be than at Pinewood"
"To my friends at Pinewood!! Thanx so much for the great mix!!" "To Pinewood, I love you 'cause you look like a pub!" "Salmon, Stanley Park, Pinewood - the Jewels of BC! Many thanks." "Thank you for your help and your unending patience. Best Wishes!" "Everyone at Pinewood. Thank you for everything. With love,"
"Thank you for your loops & your patience!! 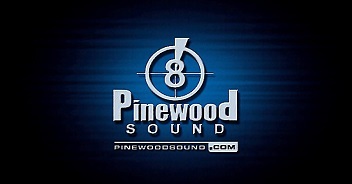 All the Best"
"Pinewood, if a tree falls in the forest... you'll make it sound better! Thanks & Blessings"
"Thank you for making 'First Contact' so pleasant." "Thanks for your professionalism & kindness"
"Why can't the industry move permanently to Vancouver! Thanks for saving our production. Peace"
"Thank you for all the good work"
"All the best to Pinewood." "Thank you. Life will be a little dull without my headphones"
"Its great to be back at good old Pinewood." "Pinewood, Thanks. All the Best!!" "You all have been really lovely. Thank you." "To Pinewood - Good wood!" "It was cool!!! God Bless"
"Thanks Pinewood. short, sweet and great coffee." "Thanks for all the professionalism." "A wonderful feeling you gave me in Pinewood Studios as I put my voice on tape. Thoughtful and kind. Thank You." "Pinewood, Gracias para being cool and pros - Keep on rockin' in the free world. Arrigato & just keep livin' "
"Thanks a million for putting up with me. "To the people of Pinewood with love"
"Thanx Y'all, hooked me up!!" "Thanks to my friends at Pinewood. 15 years is too long." "Thanks so much for everything! I hope you guys aren't sick of seeing me. I've become a regular here..."
"You guys are on fire." "Pinewood a lovely parallel universe to the other Pinewood - Many thanks." "Pinewood, Thanks for everything. Hear ya later." "Such a pleasure to be here." "It's always a pleasure at Pinewood"
"Thank you Pinewood, you make me sound better than I ever could." "You are the best wood of all"